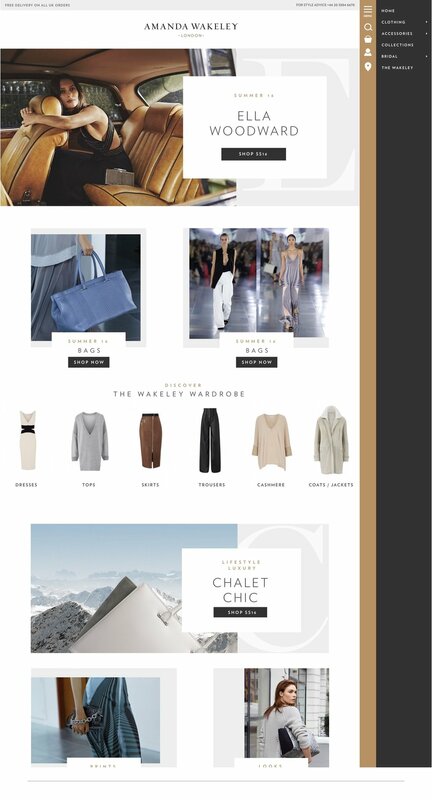 Overhaul of the digital flagship for infamous London based designer, Amanda Wakeley. The aesthete, renowned for her “luxury lifestyle” ethos wished to modernise and revamp the traditional monochrome look of countless online fashion boutiques for a more characterful approach that blended content with shopping. The design was build around a mobile interfaces that bled into the desktop design where a navigation system was developed that allowed greater sense of flow to the user journey. We also found ways to bring Amanda’s signature styling through in terms of colour, “hidden” messages and surprises such as listen to the sound of the solid metal locks on bags. This custom ecommerce store was built entirely on the Magento platform and took approximately 6 months to complete.